As a race organizer, your primary focus is to increase participation rates. So, the thought of limiting who can and who can’t run in your event might seem counterintuitive to boosting participation. 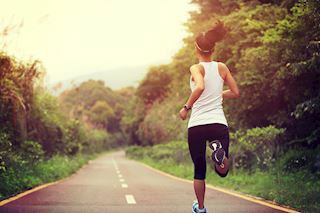 But, when you consider the psyche of humans, it might be just the thing you need not only to get people excited about your event, but also to increase the likelihood that runners will pre-register. Part of the allure of marathons like the Boston Marathon and the Chicago Marathon is that not just any runner can enter. To register for either of them, you have to have a qualifying time from another accredited race. If you aren’t in that exclusive group, then you are out of luck to run. Although organizers initially set up the qualifying times because they wanted to make sure that there weren’t too many people, it has quickly made both of them a prestigious race. And, something that many novice and seasoned marathoners have on their bucket list. Competitive people, like most athletes, like to think that they are in a class all their own. That is why there are ultra marathons. The runner who already conquered the 26.2 miles need something to put them in a higher class. Out of that competitive need to do something few people ever have the ultramarathon was born. So, it might stand to reason that making your race exclusive could up your participation rate instead of squashing it. If you market your event as something that only a few lucky people will have the opportunity to compete in, that will get those who are looking for a challenge to hop on quickly. Just cutting down the number of participants who can run will make your event look more attractive. If you market it on social media as the race to get into quick because time is running out, that will make it more likely that people will sign up. If they sign up through pre-registering, you will know ahead of time who is coming, and it will make it more likely that people will commit and show up. How do you Know What the Magic Number is? The best way to determine your cut off number would be to look through races in your category and your locale. If you know how many will probably show up without trying to make it look more enticing, then you won’t risk people not signing up if you make a limit. If you would have had that many people without the exclusivity clause, then you stand to lose nothing. For all intent and purposes, the number that you set really isn’t the issue. What is at the point is that you are creating the allure of exclusivity that will make people stand up and take notice. When people feel like they are going to be a short few, they race, no pun intended, to get in first. That will have people knocking down the door to register. And, if they see that they missed the boat, that will make them more eager to seek your event in the future. Should you Limit the Number or the Skill Level? There are two main ways that you can create an exclusive race. You can either set a time that someone has completed an accredited run under like they do with the Boston Marathon and Chicago Marathon. Or, you can just set a number of people that can join. Depending on what type of race event you are holding, i.e., a charity event, a marathon, or a fun run, you should tailor the cut-off to your potential niche market. For instance, people doing a “fun-run” will probably be more novice and non-competitive. For the fun-run goer, you want to limit the number of people. A marathon would probably be more attractive if you set the bar as a previous qualifying time. So, once you define what your race is, you will know which will be more targeted to your niche clientele. Even for people who aren’t as competitive as the athletes who enter into racing, being a part of something that is elite and exclusive is high. If you want to get people to your race, set a limit on who can enter. If you set it close to what you expect, then you have nothing to lose besides making your event look super attractive. Also, if you do have people who don’t get in before the number runs out, then they will be looking for it the next time it comes around. And, next time, they won’t be left out. Sign up at World Marathons to find other great ways to make your event more attractive!